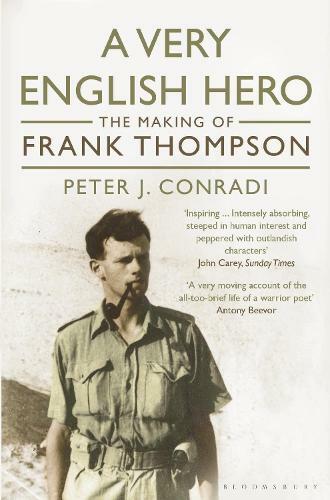 Modest, handsome and a fine poet, eccentric Englishman Frank Thompson made an unlikely soldier. Brother of E. P. Thompson and lover of Iris Murdoch, Frank was an intellectual idealist, a rare combination of brilliant mind and enormous heart. Of his wartime experiences, Frank wrote prodigiously. His letters, diaries and poetry still read fresh and intimate today - and it is from these that Peter J. Conradi brings vividly to life a brilliantly attractive and courageous personality. Aged just twenty-three, Frank was captured, tortured and executed in Bulgaria. A soldier of principle and integrity, he fought a poet's war; a very English hero from a very different era.